I’d like to discuss a user experience topic today. I think, this is a very painful question if we are talking about Enterprise Systems. PLM is not exception and suffering from complicated and not always appropriated user interfaces. I think, indeed, PLM has some advantages on the side of 3D, but in my view, there is a significant portion of non-3D life in PLM too. So, I’d like to pick up “List User Experience” trend. On the positive side, I see power of List in his simplicity. Everything can be represented by the list (except of 3D of course:) ). There are few powerful developments of a list-oriented user interfaces, I want to mention. SharePoint is using a list as a fundamental user interface experience. Everything is represented as a list and everything is transferred to become a list. You can see more details about SharePoint user experience in my previous posts about that – PLM Collaboration, To Catch Wave of Share List? This is all about Facebook, Twitter, Yammer and other micro-bloging and other similar products.I can see a definite trend in standardizing on list base user interface. Facebook user interface becomes a more “list” compared to what we had before. 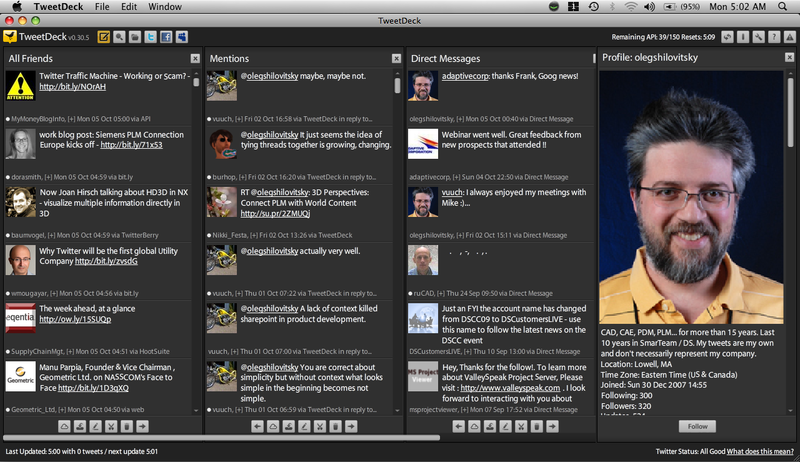 Products list TweetDeck, Seesmic Desktop and other are all lists-based. There is not much to say about the iPhone User Interface. Everything is list-based. Lots of other products simulate iPhone user experience to get higher customer adoption rate. Some very interesting future development expected from Twitter. Twitter Lists. 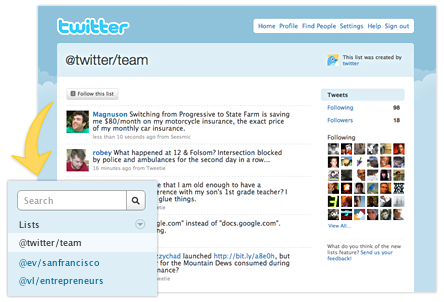 This new product from Twitter looks like next level of maturity to experiment with what List abstraction can deliver. So, what is going in Product Lifecycle Management? Everything is pretty structured and not flat today. May this is our chance to change it? I’m looking forward to your comments.